This calls for our houses of worship to be vigilant, not scared, but observant. 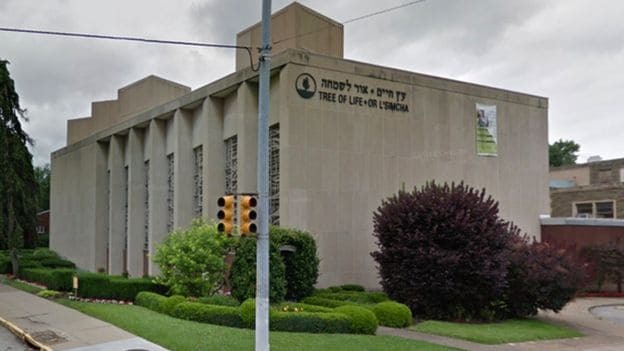 Around 10 am this morning as people gathered at the Tree of Life Synagogue for Shabbat, a lone gunman entered the synagogue and opened fire on the worshippers killing eight and wounding three police officers when they arrived on the scene. The active shooter scene was immediately secured which meant the neighborhood in the area of the synagogue was secured keeping everyone inside. A gun battle then ensued with police with the suspect/shooter surrendering to law enforcement at which time the suspect was taken into custody. The police also had to make sure how many were involved in the shooting and it was found to be a lone shooter. As a former police officer, I can tell you there will be a lot of questions asked of this lone gunman. The suspect has indicated hatred to the Jewish people. The investigation is just starting and this individual’s background will be looked at closely to ascertain any ties to hate groups or if he is acting alone, like the suspect who, this past week, sent out bombs to various political people including former US President Obama. Our thoughts and prayers go out to the congregation at Tree of Life. Again, this is an example of the attitude and work against people of God whether Jew or Christian. As a church leader, I must also say that this calls for our houses of worship to be vigilant, not scared, but observant.